A $1 million gift from Jim Rosengren, '81, will fund PTSD treatment and research at the UCF RESTORES clinic. Even when deployment ends, sometimes the war comes home. For Josh Rosengren, a UCF alumnus, the horrors of war followed him back stateside. After two tours in Iraq, he returned home not only with physical wounds but also severe PTSD. His father, Jim Rosengren, ’81, a disabled veteran himself who began his 23-year Army career as a field medic, recognized the signs. “There were whole days he’d be outside in a sitting fetal position and he’d just rock back and forth,” says Rosengren. He wanted to help Josh, but also knew that his son was not alone. For millions of veterans, active duty personnel, and first-responders, their self-sacrifices and service to others can carry a heavy physical and emotional toll. After hearing that UCF had a PTSD clinic – UCF RESTORES – that was achieving success, Rosengren, now CEO of a healthcare company that serves more than 3 million veterans through government contracts, wanted to see the data. What he saw was a cutting edge trauma treatment program that uses customized virtual reality to allow veterans to re-experience the sights, sounds, and smells of war. The program produced results that were five times as great as that reported by VA hospitals. 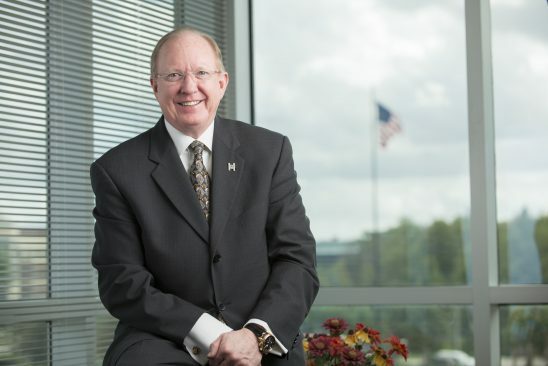 Rosengren made a $1 million commitment to support UCF RESTORES because he shares the vision of scientific research, cutting edge treatment, and education that trains the next generation of health care providers. He’s well aware, though, that even with his commitment, the clinic cannot provide treatment for the many veterans, active duty personnel and first responders who need it. Research grants from the Department of Defense enabled Beidel to develop the treatment, but the clinic needs ongoing funding to keep its doors open. He’d like to see UCF’s success go nationwide. His hope is that by training growing numbers of clinicians in the same therapy, Beidel and her team at UCF RESTORES will see their success replicated across the country. With his $1 million commitment, Rosengren is ensuring that military personnel and first responders know that there will be No Soldier Left Behind – not just at the time of the trauma, but even when the memories follow them home. To learn more about UCF Restores and its impact in our veterans’ own words: Youtube: UCF RESTORES. Or visit https://www.ucffoundation.org/ucf-restores to find out how you can help.